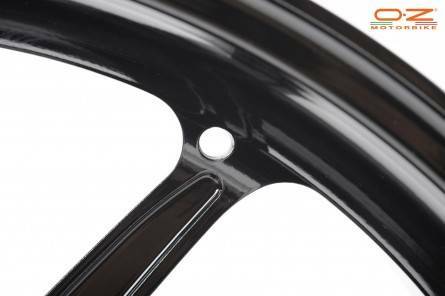 ■Cattiva R forged magnesium race wheels are made specifically for race use and are even lighter than Cattiva forged magnesium street wheels. Not legal for street use. 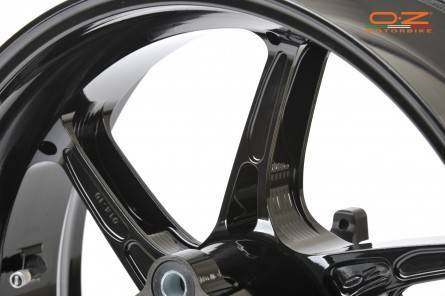 ■Forged magnesium reduces weight compared to forged aluminum wheels and even some carbon fiber wheels, which decreases the moment of inertia resulting quicker acceleration and braking, lowers un-sprung weight and gyroscopic effect to provide quicker turn-in and more positive handling. ■FEM (finite element method) designed to minimize weight and increase strength and rigidity. 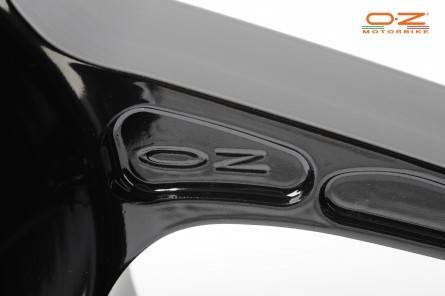 ■bi-directionally forged, resulting in a more uniform and stronger metal structure. ■Heat treating, shot peening and CNC finishing are done in house resulting in an extremely lightweight and rigid wheel. 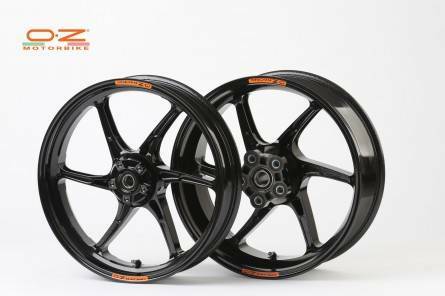 ■OZ wheels are AMA homologated for racing and also used in World Super Bike, MotoGP 125, Moto2, British Super Bike, IDM German Superbike and Bol d'Or 24-hour endurance racing. ■Included parts: bearings, valve stems, axle spacers (as applicable) and sprocket adaptor. ■Note: OE rear sprocket will not fit. Must use rear sprocket specifically for OZ Motorbike wheels such as Corse Dynamics or Driven. Last edited by moto; 07-09-2014 at 05:55 AM.